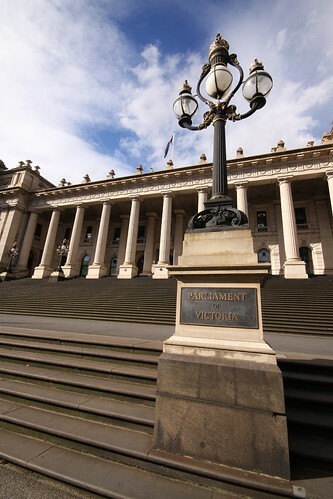 When one thinks of heritage listed buildings on Bourke Street in Melbourne, this classical styled 150 year old building usually comes to mind: Parliament House at the Spring Street end. Completed in stages between 1856 and 1893, with some minor additions carried out in 1929, it is just one of many examples of Melbourne rich architectural history. Unfortunately for you, I had a different stretch of the street in mind: the block between Queen and William Streets. The first building heritage listed building of note is the former BHP House, located at 140 William Street. I find it hard to believe that this building is almost 40 years old: the sleek design still stands strong against many modern neighbours. 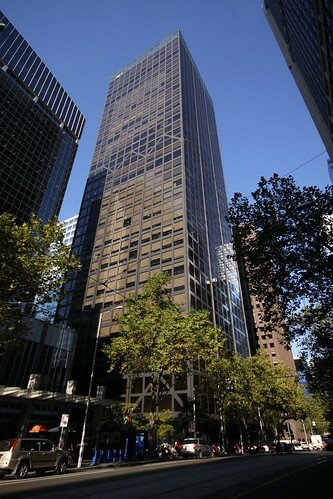 With 41 floors over 152 metres, BHP House was Melbourne’s tallest building when completed in 1972 as the headquarters for the Broken Hill Proprietary Company. This photo by the inimitable Wolfgang Sievers shows it soon after completion. Heavily influenced by contemporary skyscrapers in Chicago, architecture firm Yuncken Freeman collaborated with the Chicago office of Skidmore Owings and Merrill when designing BHP House, with the building becoming Melbourne’s first office tower to leave behind the 1960s aesthetic of banded curtain walls hard up against the street frontage, instead featuring an open ground floor plaza and sheer glazed curtain walls. Architectural: one of the most noteworthy buildings designed by the Melbourne firm Yuncken Freeman. Technological: innovative structural application of steel and concrete, leading to open floorplates that are now a standard features of high rise office buildings. 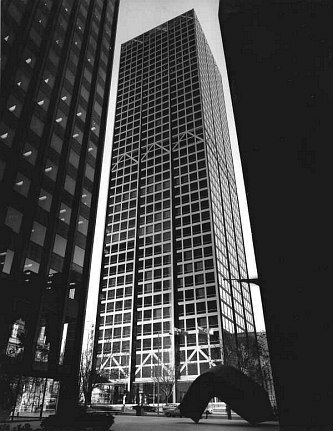 Historical: a symbol of the change in Melbourne’s CBD as it transformed into a major corporate centre. 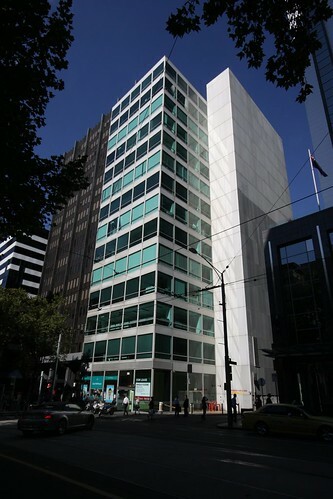 A second building of note is Eagle House, located around the corner at 473-481 Bourke Street. At first glance it looks like just another glass and aluminium clad office tower, with the 14 storey building easy to miss among the nearby towers. 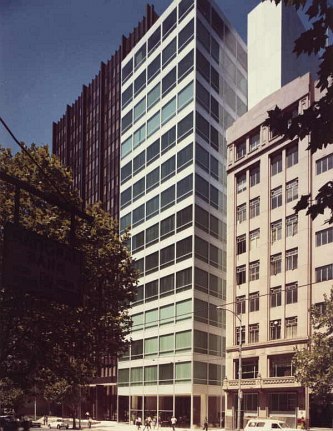 Being designed by the same firm as BHP House, Yuncken Freeman, Eagle House won the RAIA Award of Merit on completion in 1972, being described as “one of the most elegant and attractive office buildings in Australia”. Today Eagle House looks much as the same as when it was built, as this photo by Wolfgang Sievers shows, and has since been listed on the Victorian Heritage Register (number H1807) for its architectural significance. The design of Eagle House was so well received that Yuncken Freeman reused it for Estate House, located around the corner at 114-128 William Street. Completed in 1976, the facade is an almost exact copy of Eagle House, with the building itself being twice as tall but with added bulk compared to the original, it also lacks a heritage listing. It is amazing at the heritage you can find if you only look! Thanks for the article, I worked at BHP House from ’74 to ’80 the last few years up on 41st floor. Brings back good memories!